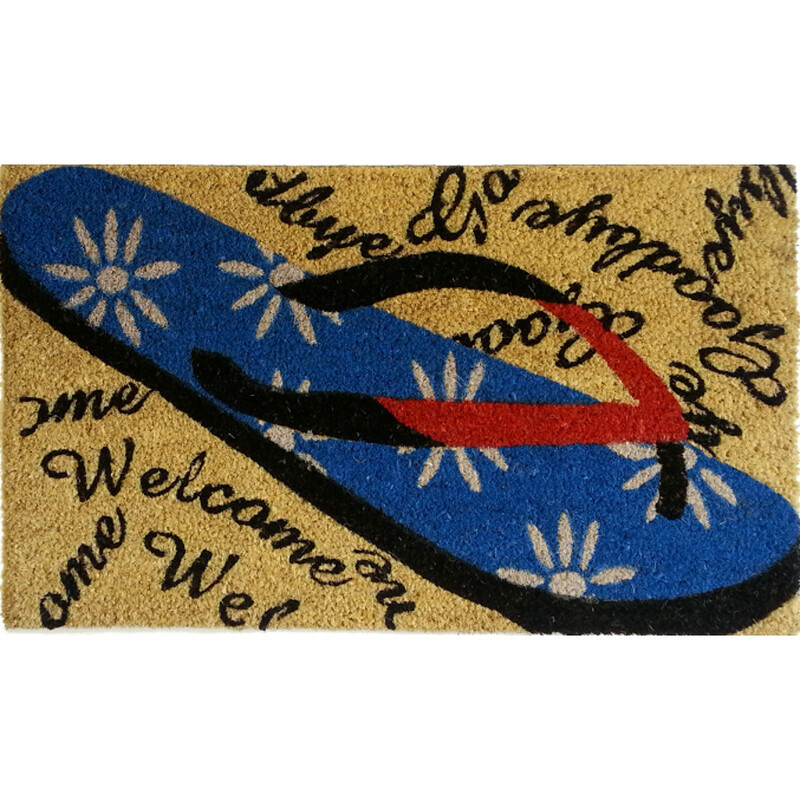 Greet your guests coming and going with this Welcome and Goodbye Flip Flop Doormat. 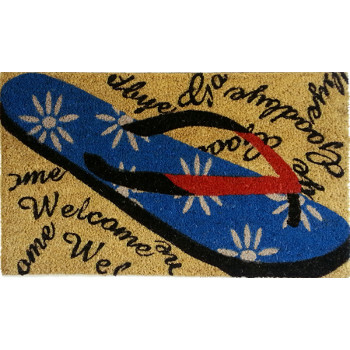 Flip Flop Vinyl Back Door Mat is vinyl backed coir doormats are printed with water based colors, which provide color fastness and brightness. Vinyl backing makes them skid free and durable.